This topic contains 40 replies, has 11 voices, and was last updated by ZsaZsa 2 months ago. 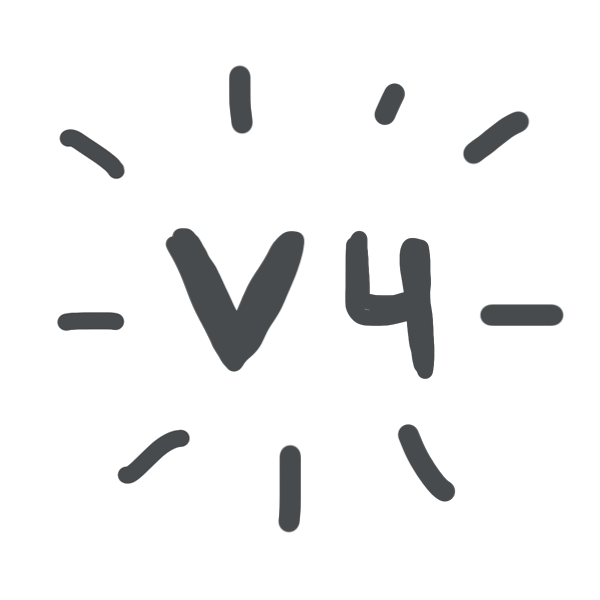 Hey guys, my name’s Paul and I’m a designer working on PP V4. One of our focuses for V4 is exploring ways to use the non-recyclable plastics (NRP) that we often collect but don’t have a use for. Typically when these materials are collected, they’re sent to the landfill where they waste away eternally, or they’re incinerated to produce energy. Neither of these options are great… Sending NRP to a landfill means the materials that could be useful will do nothing but take up space in a big pit of waste. And incinerating them releases gases into the atmosphere that contribute to air pollution and climate change. I patched the leaks and added 4 more clamps in an effort to keep the chamber air tight. My hope was that clamping tightly enough would work as a seal without having to use a rubber gasket (non-recyclable), but imperfections in the chamber made it very difficult to form an airtight seal so I decided to experiment with a silicone seal. Once I added the silicone seal, the chamber was finally airtight and the gases flowed from the reaction chamber into the condensation chamber. Unfortunately, the water wasn’t cool enough or the gas wasn’t given enough time to travel through the water in order to condense to liquid so the gas escaped. After about 45 minutes, the silicone seal could no longer withstand the heat and began to fail. Although the gas didn’t condense once reaching the water, I did leave the reaction chamber to cool for awhile before opening it to look inside. During that time, the gases that remained in the reaction chamber were given time to cool. As they cooled, they formed a liquid layer on top of the remaining plastic in the chamber, which smelled very similar to gasoline. Curious, I held a flame to it to see if it would catch – it did. While the system still has some kinks to work out, this showed me that we were getting closer to a functional pyrolysis unit. To improve the temp resistance of the seal, I dug around our local area to see if I could find anything sufficient. This was the highest temp resistant material i could find, and since the goal is to use accessible materials, I figured it’s worth a shot. Pretty sure that the chamber reaches temps above 300 deg C, but it’s possible that since the gasket is at the top of the chamber away from the flame, the temps won’t be as high. I made the new seal, increased the amount of water and added ice to the condensation chamber, then tested it out. The silicone seal worked, however a small hole opened up where the clamp was attached to the chamber (brittle due to welding mild steel to stainless) so the fumes escaped rather than traveled through the tube to the condensation chamber. Our mig welder is currently being repaired, so we tried to patch the holes with stick weld but it only made the problem worse. Once our welder is back up and running, I’ll patch the holes and try again. I would never discourage research, learning, innovation or human-desire to investigate, but on the matter of developing a process to utilise pyrolysis oil from NRP, I may have to dampen your spirit. We have been involved in extracting energy from human waste streams, including wood and plastic for more than 20 years and in that time we have collaborated with hundreds of engineers from all over the world. We have worked through several top universities in the UK, Europe, USA, China and India, and to this day we have yet to see the development of an appropriately scaled system that can produce a high-grade oil that can be utilised efficiently. In that time I would think that $Millions have been invested into projects that start off with a lot of enthusiasm only to end up in a yard full of plastic containers that are full of various grades of oil that nobody can do anything with. I would be pretty confident to suggest that the Plas-Pod unit and Dan’s (@lwfbiochar) unit are about as good as we are going to get with regard to appropriately-scaled technology for dealing with NRP to energy. Burning NRP is not ideal but when it replaces virgin fossil fuels there are benefits. As previous, I would not want to deter you from your path of exploration, but just remember that if it was possible to convert plastic into oil then I am pretty sure that the oil-industry would have built the machines to do this. And they would be buying back all the waste plastic on the planet to do it…. I’d say this serves as some level of proof that larger chemical/oil companies are exploring this technology and finding ways to make it work. Additionally, the Plastic Odyssey team claims to have developed a functional, efficient, small-scale pyrolysis unit which produces fuel-grade oil that they’ve successfully powered their prototype vessel with. They came to Eindhoven several weeks back to share their experience with us and showed us some footage of the unit in operation and, if everything they say about it’s true (no reason to think it wouldn’t be) they’ve managed to find a way to make this technology work effectively at a smaller scale. Granted, elements of the units that the above groups have developed are far more advanced than what I’ve been testing here. Our first prototype was just meant to be an exploration into the topic to get our feet wet – we’re not expecting fuel-grade oil from it in its current state. In my opinion, Plastic Energy’s method of turning waste back into virgin-quality material seems to be the best application of pyrolysis tech I’ve seen so far… while it’s true that if fossil fuels will be burned, better to come from a pyrolysis source than virgin, we don’t need another reason to keep burning them – much better if we can transform waste into a useful material to act as carbon storage. There’s enough carbon in the atmosphere as it is.